The Japanese world number seven needed an hour and a quarter to get on track against a player who had reached the Montpellier final barely 48 hours earlier against Jo-Wilfried Tsonga. Second seed Karen Khachanov, winner of the Paris Masters title last November, fell in a shock to Dutch wildcard Tallon Griekspoor, who recovered for a 3-6, 6-3, 6-2 upset of the Russian. The defeat leaves Khachanov winless here in three attempts. Victory marked the second Rotterdam upset for the 211th-ranked local, who put out Stan Wawrinka a year ago in his hometown for his first career ATP Tour-level win. Nishikori finally earned his first break well into the evening against Herbert, taking a 3-1 lead in the second set after dropping the first. 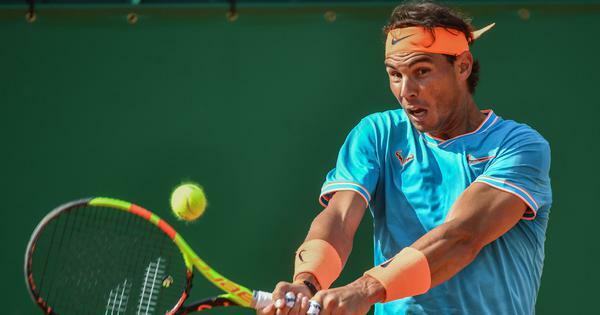 That opened the floodgates, with Asia’s top player quickly finding his recovery mode to run out the tight first-round victory after two hours and 10 minutes, saving break points as he served out the win. 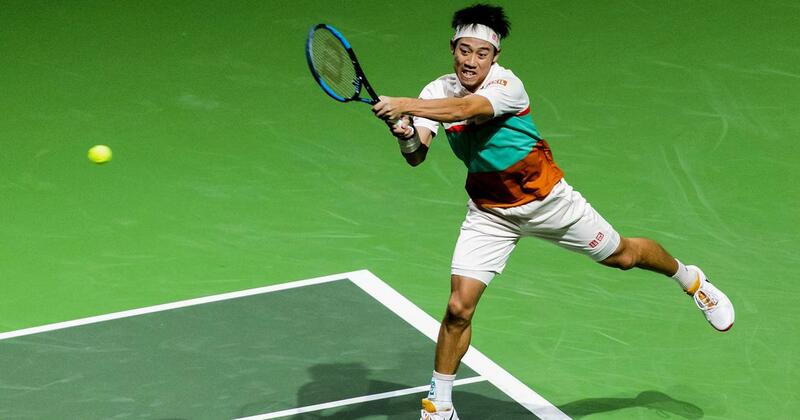 Nishikori could not have asked for a more difficult Rotterdam debut as he faced the 36th-ranked Frenchman. “It wasn’t easy, as he was playing good tennis and serving well,” Nishikori said. “I had a little bit of trouble with my return game and couldn’t convert the important points. Victory sent Nishikori to 9-1 this season after starting 2019 with a Brisbane title and an Australian Open quarter-final appearance. He was forced to quit his match in Melbourne against Novak Djokovic in the second set due to a knee problem, cured by rest over the past two weeks in Florida. Nishikori next faces Ernests Gulbis, who beat Marius Copil 6-2, 6-4 in a battle of qualifying lucky losers. “He’s not easy, especially indoors where he uses his great serve and aggressive play really well. “I just need to stay focused and get used to the conditions a little bit more,” Nishikori said. Milos Raonic and Denis Shapovalov scored a first-round double for Canada, with both powering ahead in straight sets. Raonic, the fourth seed, fought past German Philipp Kohlschreiber 7-6 (10/8), 7-5 on the back of 21 aces. Shapovalov, seeded 10th, defeated Croatian Franko Skugor 7-5, 6-3. Raonic had to work to get past a 2016 semi-finalist at the Ahoy stadium. The Canadian set up a second-round meeting with Wawrinka, whom he beat in an Australian Open marathon last month. “It will be a tough match, especially after we went four tiebreakers over four hours in Melbourne,” Raonic said. “It will be important for me to be disciplined and continue to play well. Raonic has beaten Wawrinka - a former Rotterdam winner - in their last three meetings. The Swiss is putting the final polish on his game as he completes a return from two knee operations in August 2017. Shapovalov dominated Croatian qualifier Skugor in their first-time meeting as both made Rotterdam debuts. Gael Monfils earned an upset of Belgian eighth seed David Goffin 7-6 (7/5), 7-5, while former champion Tomas Berdych beat Frenchman Gilles Simon 7-6 (10/8), 6-4.